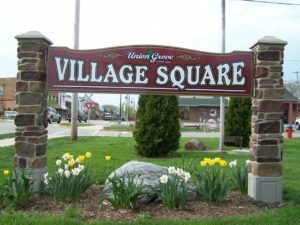 Beginning in April 2019, the Village of Union Grove distributes Village E-News, a monthly e-mail newsletter with updates about Village services and events. Subscribers to Village E-News may also receive special announcements or alerts from the Village if there is more urgent information to distribute. Village Voice quarterly newsletter will continue to be mailed out on a quarterly basis with more in-depth updates. Village Voice is a quarterly newsletter mailed out to residents in Union Grove. To download the latest Village Voice, or to view recent issues, click here. The cost of producing the newsletter is offset by advertisements – for information about advertising in Village Voice, contact Peter Van Doren at pvandoren@4LPi.com or 1-800-950-9952 x2572. In an effort to conserve paper and tax dollars, we are offering the newsletter electronically. If you would like to receive your copy of the Village Voice via e-mail from now on, please fill out the form below and we will remove your name from the paper copy mailing list. Please include the email address that you would like us to use for future newsletters. Thank you!